Performance Increases - In this release of Catalyst® Intel 965 Crossfire performance increases due to improvements of the Crossfire D3D driver in handling large vertex meshes. Gains of 6.7-15.8% can be seen in 3DMark2006, 9.7-10.5% in 3DMark2005 and 3DMark2003 performance improves as much as 7.1%. Display corruption is no longer noticed when switching between normal screen and full screen mode when viewing either a video or a picture slide show under the Windows Media Center Edition operating system using the Media Center application. Here's an update on my HDTV Antenna install (see the first part here). Stuck the antenna to the chimney of my house using antenna straps. It survived an extremely windy Sunday, so I'm confident it was a good install. I must admit, I should have put the antenna on the another corner of the chimney (I was trying to beat the incoming rain on Friday, so I didn't think things through as much as I should have). What's next? I've purchased a DViCO Fusion HDTV5 USB Gold tv tuner which should be arranging tomorrow. I'll be able to watch off-the-air HDTV on my computer (either within Media Center or with DViCO's supplied programs), and I'll be able to figure out the signal strength of each station (my current Viewsonic N3252W LCD TV does not have such a meter). With this data, I'll know if a pre-amp will be useful for me, at which time I'll go back up on the roof and fix my mistake. Here's a picture of the antenna on the chimney. Yesterday, Chris Lanier posted about Media Center celebrating its fourth year of existence as a retail product. It's hard to believe time has gone by so fast. I was at the product launch in New York City's Bryant Park four years ago with my fellow Media Center MVPs. Here's a picture of most of us near the end of that event. Microsoft has released Windows Media Player 11 for computers running Windows XP (32 bit and 64 bit versions). All Your Entertainment in One Player - Store and enjoy all of your music, video, pictures, and recorded TV. Enjoy Everywhere - Stay connected with your music, video, and pictures no matter where you are. Check out the new Media Sharing feature. Windows Media Player 11 is designed to work with all versions of Windows XP with Service Pack 2, including Windows XP Home Edition N and Windows XP Professional N. Here is the Readme for Windows Media Player 11 for Windows XP and a direct download link for 32 bit and 64 bit versions. 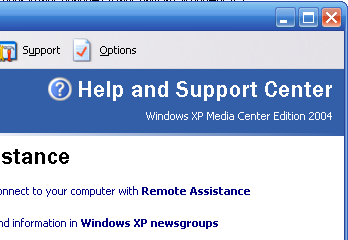 For Media Center 2005 users, there is one item that you need to be aware of. Windows Media Player 11 for Windows XP supports Windows XP Media Center Edition 2005 with KB900325 (Update Rollup 2 for Windows XP Media Center Edition 2005) and KB925766 (the October 2006 Update Rollup); however, it does not support previous releases of Windows XP Media Center Edition. 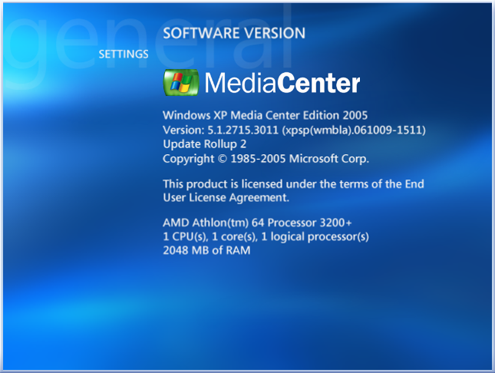 If you have Windows XP Media Center Edition 2005, but have not installed the Update Rollup 2, in the Microsoft Knowledge Base, see article 900325, "Update Rollup 2 for Windows XP Media Center Edition 2005." You must download and install it before you can install Windows Media Player 11. 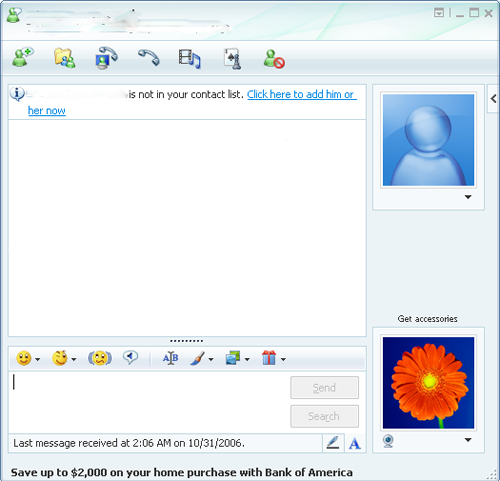 The October 2006 Update Rollup is installed with Windows Media Player 11 (provided that your computer is connected to the Internet when the Player is first installed). For more information, in the Microsoft Knowledge Base, see article 925766, "October 2006 Update Rollup for Windows XP Media Center Edition 2005." 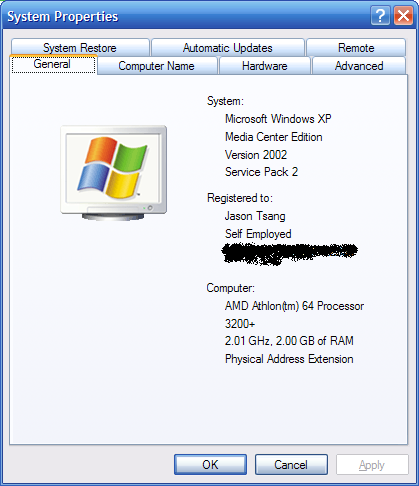 Windows Media Player 11 for Windows XP cannot be installed on computers running Windows XP Media Center Edition 2002 or Windows XP Media Center Edition 2004. I met up with a few Canadian based MVPs yesterday at the Canadian Regional MVP summit event yesterday. Among these people was Peter Near, a fellow Media Center MVP who has recently delved into the HDTV world (you can read about his experiences here). He planted into my mind the idea of using the ATSC tuner in my new HDTV to receive the wide variety of free off-air HDTV programming is available in the Greater Toronto. So how does this work? First, lets start off with a little primer on this technology. The FCC has notified U.S. television broadcasters that the standard for transmitting TV over-the-air shall change from analog to digital. Analog NTSC transmissions have been mandated to cease in the United States by by February 17, 2009. Canada's equivilant to the FCC, the CTRC, will also have an analog transmission shutdown date in the future, although the date has not been determined yet. Peter notes that it is to Canadian broadcaster's advantage to make the switch sooner rather than later, so that they can simulcast shows that US stations broadcast (as long as it is the same content). Simply put, if the Canadian broadcaster can't broadcast in HD, they can't substitute their own ads from the US HDTV channels, and as a result, the Canadian broadcaster would loose out on ad revenue. Note that while digital signal does not imply high definition, with the many shows that are shot in high definition, broadcasters have the option of transmitting the high definition content when it is available. See the following table to see the differences between analog television, digital television and high definition television. So now that the broadcasters are sending these signals over the air, what do you need to receive these signals? The most difficult part for most people will be setting up the antenna. When I first tested this, I used an FM Antenna mounted upon a contraption on top of my parent's clothes hanger. Basically, this contraption is a tomato plant cage with a bamboo pole across the top where the FM Antenna is stretched out upon. This whole thing rests on top of the clothes hanger. See here for a couple of pictures. Obviously, this ghetto setup won't do, so we purchased a Channel Master 4228 antenna, and a pipe to attach the antenna to. I choose this antenna over a smaller one because I figured since it was going to be ugly anyways, it might as well be a bit bigger and ugly. You can see the antenna in the following picture (it is temporarily driven into the middle of my dad's garden). After this, all that is needed is to plug the cable into the television. What's the payoff? Basically, I receive CBC, CBC French, CityTV, CTV, SunTV, OMNI1 and OMNI2 digital signals for free. Many of the primetime shows are shown in High Definition (think all three CSI series, ER, Lost, Grey's Anatomy, Hockey Night in Canada etc, etc). The next step for me is to mount this antenna onto the chimney (and set up a ground block). This should allow me to receive digital signals from Buffalo (i.e. the local ABC, NBC and CBS affiliates among others) based on this list of all the stations from the Toronto, Ontario & Buffalo, New York HDTV Channel Map. Receiving these signals is free, and could potentially have even better quality than Digital TV offerings from Rogers or Bell, due to the fact that these off the air signals are less compressed (unlike Rogers or Bell who have to compress the signal). The only downside to this is that stations that don't broadcast off-the-air are unavailable, such as Sportsnet, TSN or other speciality channels. If you are willing, you should give this a try. With most people already having digital tv capable televisions, the missing piece of the puzzle is likely the antenna. Depending on your location, you may be in prime position to take advantage of this. If you are concerned about your choices in antennas, there are other 'less-ugly' options that you can choose from. Also keep in mind that the receiver does not have to be a TV per se. You could pump the antenna into an HDTV card for your computer, and then do stuff like record HDTV within Media Center or some other software. I'll go into this topic in a later blog posting. I'll post back once I finish this whole project with my results. Microsoft taken Windows Defender out of beta and released it to the general public (i.e. Release to Web). Windows Defender is a free program that helps protect your computer against pop-ups, slow performance, and security threats caused by spyware and other unwanted software. It features Real-Time Protection, a monitoring system that recommends actions against spyware when it's detected and minimizes interruptions and helps you stay productive. A redesigned and simplified user interface - Incorporating feedback from our customers, the Windows Defender UI has been redesigned to make common tasks easier to accomplish with a warning system that adapts alert levels according to the severity of a threat so that it is less intrusive overall, but still ensures the user does not miss the most urgent alerts. Improved detection and removal - Based on a new engine, Windows Defender is able to detect and remove more threats posed by spyware and other potentially unwanted software. Real Time Protection has also been enhanced to better monitor key points in the operating system for changes. Protection for all users - Windows Defender can be run by all users on a computer with or without administrative privileges. 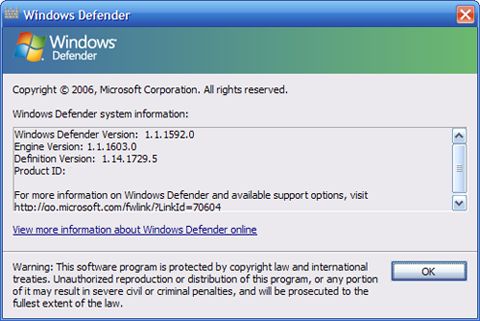 This ensures that all users on a computer are protected by Windows Defender. Support for 64-bit platforms, accessibility and localization - Windows Defender supports accessibility and 64-bit platforms. 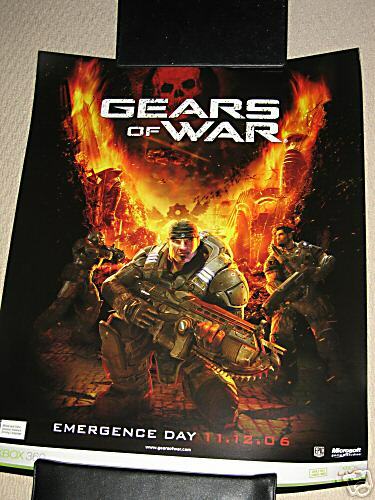 Microsoft will release localized versions including German and Japanese soon after the availability of the English versions. Free Limited Support - As a part of our commitment to the security of our customers, free support for installation, configuration, definition update, detection and removal errors will be available for a limited time after download and installation. Windows Defender is available in both 32 bit and 64 bit editions, and further information can be found at the Windows Defender homepage. Microsoft has announced the availability of Streets & Trips 2007 with GPS Locator. The GPS Locator that is included with Streets & Trips 2007 is newer than the locator that was included with the 2005 and 2006 versions of Streets & Trips. Previous versions of Streets & Trips came with what is the equivalent of a Pharos iGPS-360 receiver, which is based on the SiRFstarIIe/LP chipset, while the latest version of Streets and Trips come with the equivalent of a Pharos iGPS-500 receiver based on the SiRFstarIII chipset. According to the chipset manufacturer, SiRF, this extra sensitivity makes real-time navigation practical, including in many indoor environments, through urban canyons, and under dense foliage. Unlike the lengthy sequential search process of traditional GPS architectures, the SiRFstarIII architecture, with the equivalent of more than 200,000 correlators, enables fast and deep GPS signal search capabilities, resulting in significant improvement over today’s architectures that contain a few hundred to a few thousand correlators. Another immediate benefit that customers should notice immediately is the size difference between the old and new models. Here is a picture comparing the two. 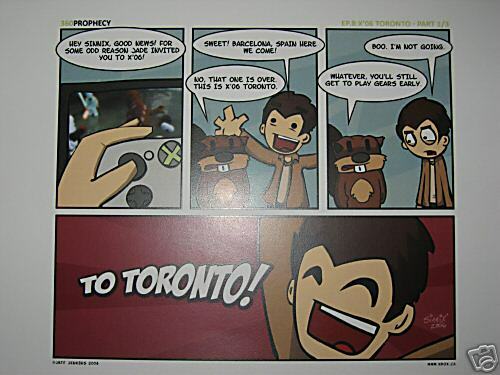 Microsoft Streets & Trips 2007 with GPS Locator is available for an estimated retail price of $129 USD. See the Streets and Trips 2007 website for more information.